ePortfolios are similar to paper portfolios. 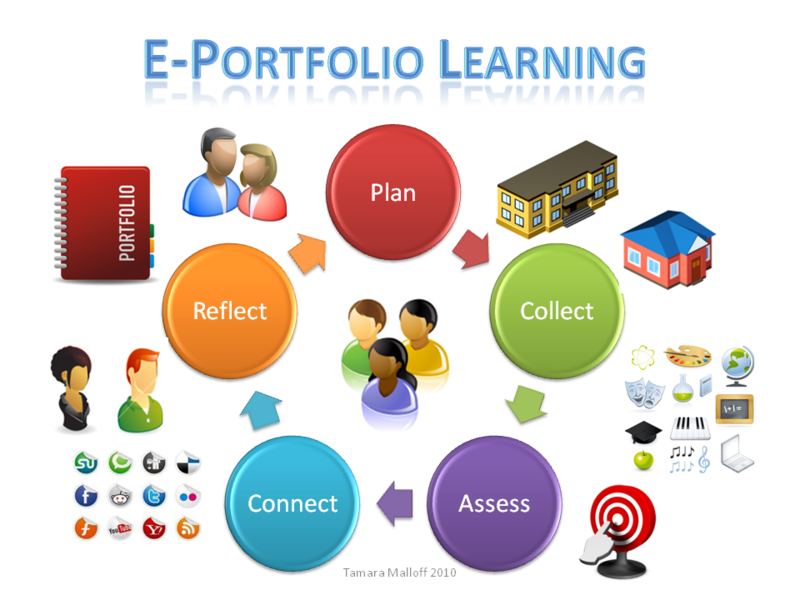 An ePortfolio is a collection of materials that documents student accomplishments, and may include reflections on the learning process and its outcomes. They are owned by the student but the structure and design are guided by school ePortfolio policies. • Requiring students to organize their thoughts and materials using an electronic interface similar to a personal web page. • Allowing for the presentation and interlinking of various media types. Being shared easily and continuously edited. demonstration, project components) [C.R. 100.5 (d)(6)(f)(6)]. • An industry-recognized exam satisfies the written aspect and an ePortfolio can satisfy the demonstration and project component aspects of the technical assessment. • Certain academic and occupational fields require portfolios for college admissions and job interviews. The trend is increasingly moving towards ePortfolios as the standard portfolio medium. • What is an ePortfolio and what do students and teachers hope to accomplish by utilizing one? • What will a rubric look like? Will there be standard expectations for all rubrics across every discipline? What will vary?